Distiller, the world’s first whiskey recommendation and discovery platform, today announced the launch of their iOS app for personalized whiskey recommendations, now available in the App Store. The free Distiller app has updated features that give the whiskey adventurous a deep understanding of the vast and varied world of whiskey, through a seamless mobile interface. Distiller aims to lower the barriers to whiskey discovery and fine-tune the pursuit of the perfect bottle. With such wide-ranging brands and varieties, whiskey choices are often misguided, and based on parameters like price as a measurement of quality, or ill-advised recommendations from a server looking for a sale. Distiller works with whiskey experts, connoisseurs, and consumers to understand what makes a particular whiskey work well for a particular palate, in a particular situation, at a particular price-point. 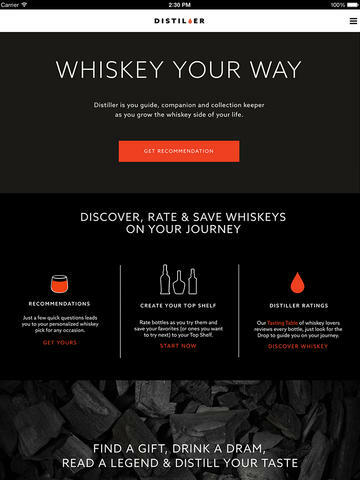 The result is a proprietary algorithm for analyzing a database that contains tens-of-thousands of data points describing the complex flavors of whiskey, and also the more product-oriented attributes like price, reputation, and even “giftability,” to produce recommendations with a limitless capacity for customization. 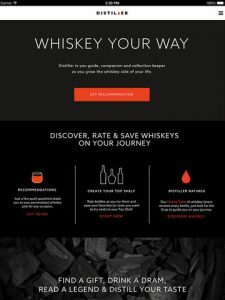 · Personalized whiskey recommendations: Answer a few questions on preference, budget, and circumstances to prompt tens-of-thousands of data points leading to a tailored suggestion. Users also now have the option to search for whiskey based on type and origin. 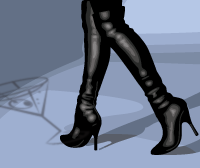 · Top Shelf: Rate bottles, take notes, then save to your own Top Shelf to reference later on. The Top Shelf not only keeps track of your favorite whiskeys, but also helps enhance the recommendation technology. Users can also share on Facebook or Twitter, for a not-so-subtle gift suggestion. · Unique Flavor Profile: New way to visualize a whiskey’s flavor notes as compared with other bottles, to help find the best match. · Distiller Ratings: The Distiller Tasting Table, a curated panel of industry experts passionate and knowledgeable about whiskey, reviews and rates every bottle in the Distiller database.